LOS ANGELES, California -- Rapper Coolio and another man were arrested at LAX Saturday morning for allegedly trying to bring a stolen loaded gun through the security screening area, police said. Airport police say that around 10:50 a.m. a 39-year-old man was stopped at an X-ray screening belt after TSA screeners detected a firearm in a bag. They determined that the bag contained items belonging to the man's 53-year-old traveling companion, who had already gone through security and boarded an airplane. Police took that man off the plane and say he claimed ownership of the carryon bag. Both men were arrested for possession of a stolen loaded firearm and were booked at LAPD Pacific Division jail. LAPD booking records identified the arrested man as 53-year-old Artis Leon Ivey Jr. -- the rapper's real name. His bail was listed as $37,308. 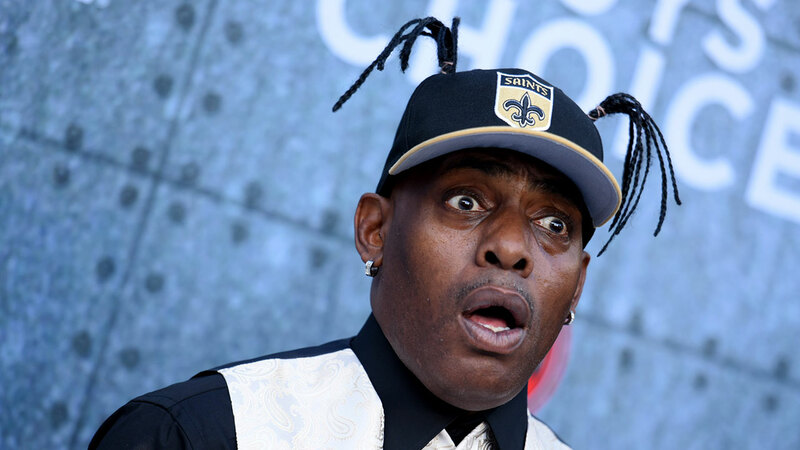 Coolio is a Grammy-winning rap artist best known for his single "Gangsta's Paradise." In recent years he has also appeared on reality television and released his own cookbook.